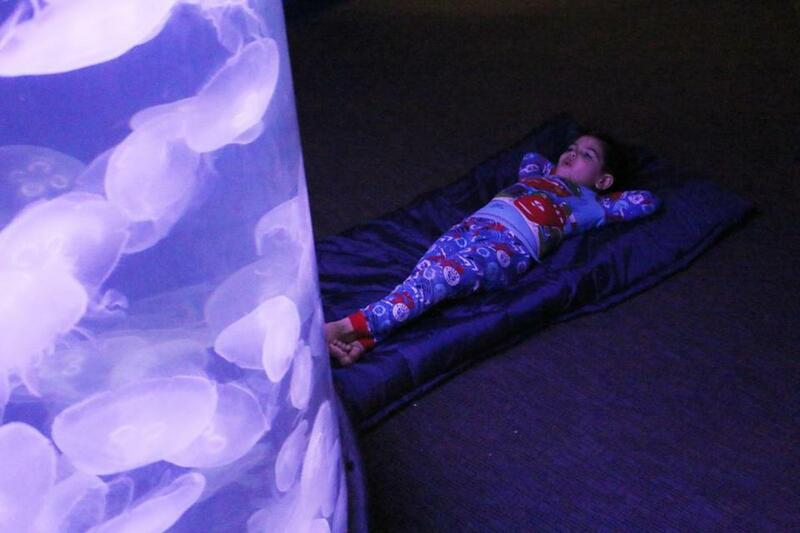 Settle down amid the ambient glow of moon jellyfish at the Maritime Aquarium in Norwalk, Conn. 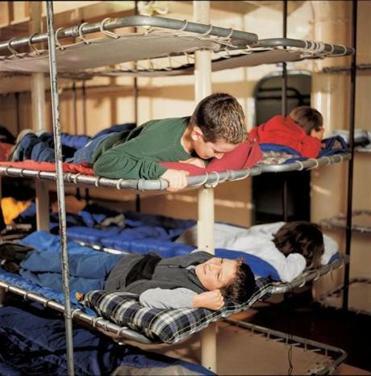 Kids think sleepovers are all that, and there are some pretty creative places around the region where they can tuck in for the night. You’ll note that these places require adult chaperones, and if you think you’ll get much quality shut-eye, dream on. Tucked in the Blue Hills Reservation in Milton, this outdoor adventure camp is a year-round facility where you can spend a night or two. The site is owned by the Boy Scouts Spirit of Adventure Council and is available for overnights on weekends and school holidays and vacations. Calling all night owls. The Franklin Park Zoo in Boston’s historic Franklin Park hosts Snorin’ Roarin’ overnights, “private sleepovers that can be scheduled with the education department,” according to a zoo spokesperson. Behind-the-scenes tours, games, storytelling, animal encounters, and zookeeper presentations are all included. Make a pilgrimage to Plimoth Plantation in Plymouth and spend the night in a rustic, outdoor re-created Pilgrim home (houses up to 10 people). “In April, it still may be a little chilly overnight, so plan for some extra layers and sleeping bags,” says a plantation spokesperson. The giant tank makes for a soothing background for sleepovers at the Maritime Aquarium in Norwalk. Tuck in at this aquarium in Norwalk, Conn., during a Family Sleepover on April 29. The BYOSB (bring your own sleeping bag) overnighter starts at 6 p.m. with dinner (chicken tenders, fries, penne pasta) followed by a behind-the-scenes tour and an IMAX film, crafts, and snacks. 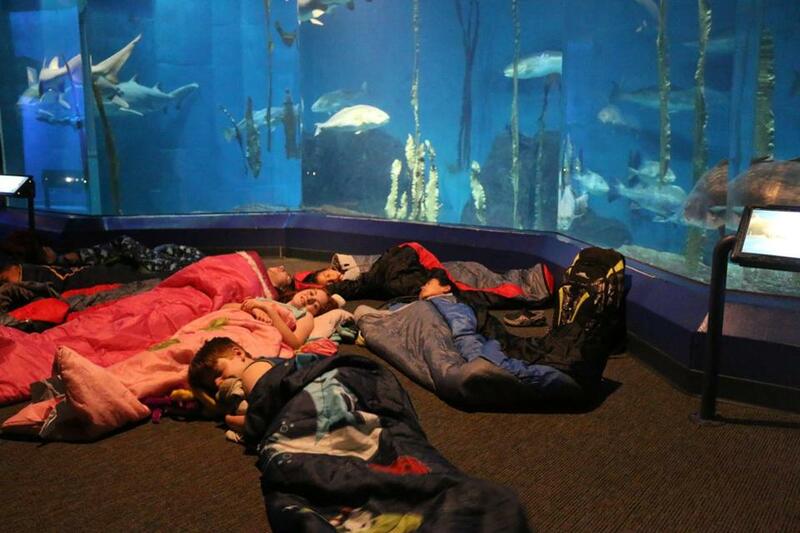 Lights out at 10 p.m. Campers sleep in sleeping bags throughout the Aquarium galleries. Don’t worry: Air mattresses are allowed for adults. The next morning, breakfast is served at 8 a.m., followed by a seal show, then departure at 9 a.m. Tickets are $75 adults and $55 children. Kids must be 5 or older, and accompanied by a parent or caregiver over 18 years old. Advance registration is required. Call 203-852-0700, ext. 2206 or visit www.maritimeaquarium.org. Sometimes a teddy bear just needs a break. Thankfully, many libraries in the area host sleepovers for stuffed animals throughout the year. The way it works: Kids drop off their second favorite stuffed friend at the library, kiss them goodbye, and tell them they’ll pick them up in the morning. During their library stay, the stuffed animals listen to stories, eat cookies, play games, and then tuck in for the night. No registration is required, nor do you need to have a library card. For more information call 508-430-7562, ext 2.